Although extensively documented in the literature, the AV access is often overlooked as a source of cardiac dysfunction. 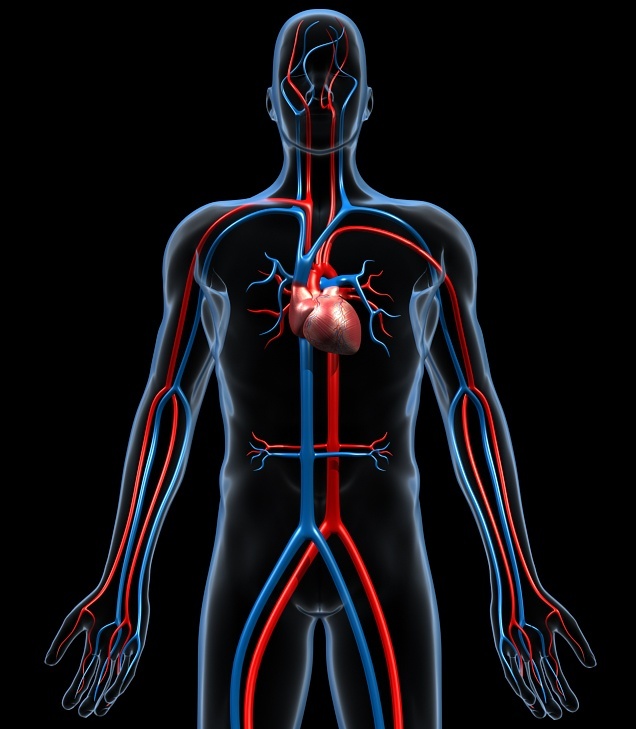 By bypassing the customary arteriole/capillary beds and establishing a direct high flow connection between the arterial and venous systems, an AV access creates a drop in peripheral arterial resistance that significantly affects blood flow. In order to maintain blood pressure and improve cardiac output, the body compensates for this precipitous drop in resistance by increasing heart rate and stroke volume. This phenomena was first observed in World War II soldiers with trauma-induced arteriovenous fistulas. Iwashima et al reported an 15% increase in cardiac output by the seventh day after arteriovenous fistula creation1. This increased cardiac workload can lead to an increase in size of the left ventricle (left ventricular hypertrophy). MacRae et al reported the high output cardiac failure associated with high flow AVFs (> 1.5 L/min), particularly in men with upper arm fistulas and previous access surgeries. Her 2006 comprehensive review, “The Cardiovascular Effects of Arteriovenous Fistulas in Chronic Kidney Disease: A Cause for Concern?” MacRae documents the evidence, to date, on the subject.2 She emphasizes that the ratio between access flow and cardiac output is an important clinical indicator and notes that the average flow in an upper arm fistula is 1.13 to 1.72 L/min. In the same study 15% of patients were found to have flows of over 2 L/min. Access flow that exceeds 25% of cardiac output indicates a potential cardiac problem. In most cases, high output cardiac failure was associated with a access flow to cardiac output ratio of more than 40 percent. MacRae recommends that hemodialysis patents be screened for potential high output cardiac failure using a Qa/CO ratio and patients with a Qa/CO ratio of more than 30 percent undergo further testing. 1 Iwashima Y et al, "Effects of the creation of arteriovenous fistula for hemodialysis on cardiac function and natriuretic pepetide levels in CRF," Am J Kidney Dis 2002; 40(5): 974-82. 2 MacRae JM, et al. “The Cardiovascular Effects of Arteriovenous Fistulas in Chronic Kidney Disease: A Cause for Concern?” Semin Dial 2006; 19(5): 349-52. 3 MacRae JM et al, “Arteriovenous Fistula-associated High-output Cardiac Failure: A Review of Mechanisms,” Am J Kidney Dis 2004; 43(5): 17-22.